Albert Einstein autograph letter signed, regarding the publication of his study ''Generalization of the Relativistic Theory of Gravitation'' in the October 1945 ''Annals of Mathematics''. 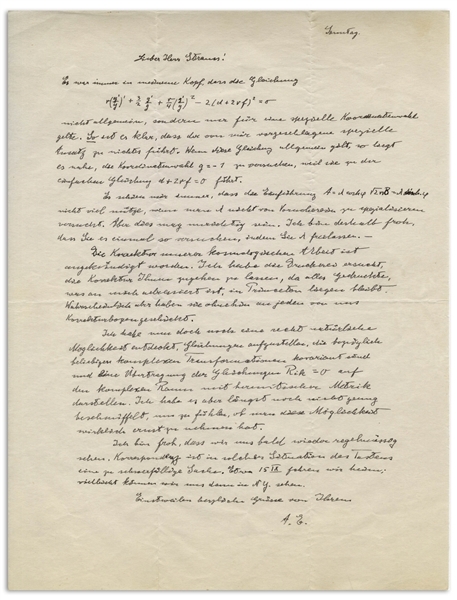 Einstein writes to his assistant, Ernst Straus, discussing the importance and implications of several equations that Einstein handwrites in the letter. Dated Sunday, from the summer of 1945, Einstein writes in German, in full, ''Dear Mr. Strauss! 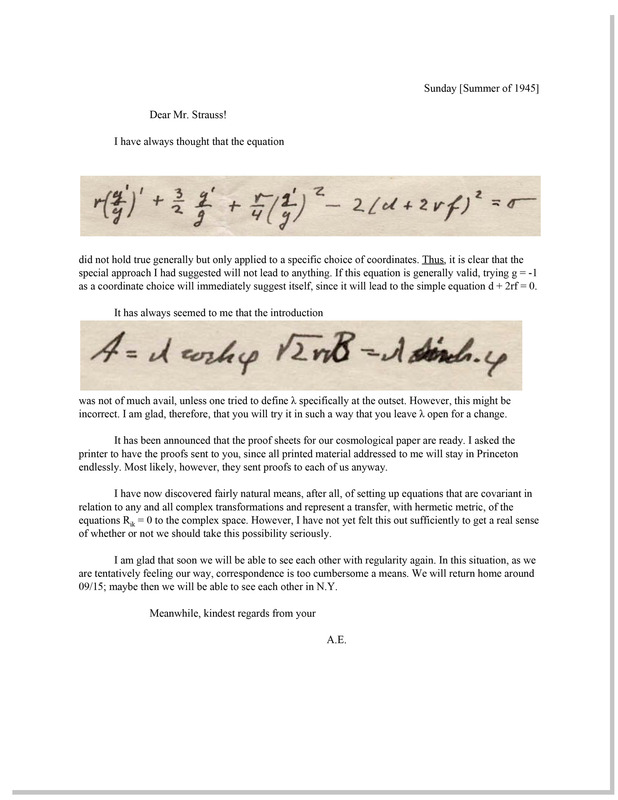 / I have always thought that the equation [equation] did not hold true generally but only applied to a specific choice of coordinates. Thus, it is clear that the special approach I had suggested will not lead to anything. If this equation is generally valid, trying g = -1 as a coordinate choice will immediately suggest itself, since it will lead to the simple equation d + 2rf = 0. It has always seemed to me that the introduction [equation] was not of much avail, unless one tried to define λ specifically at the outset. However, this might be incorrect. I am glad, therefore, that you will try it in such a way that you leave λ open for a change. It has been announced that the proof sheets for our cosmological paper are ready. I asked the printer to have the proofs sent to you, since all printed material addressed to me will stay in Princeton endlessly. Most likely, however, they sent proofs to each of us anyway. 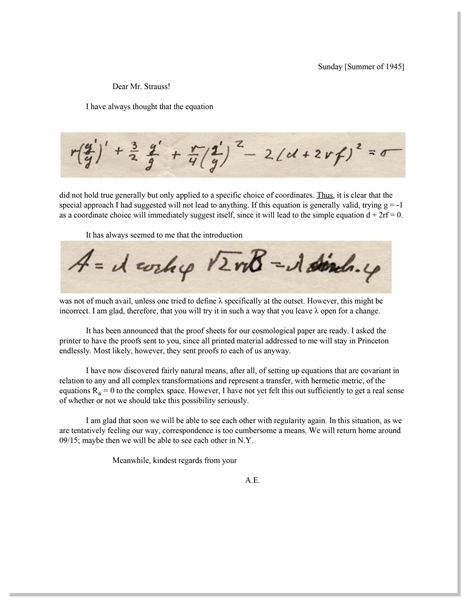 I have now discovered fairly natural means, after all, of setting up equations that are covariant in relation to any and all complex transformations and represent a transfer, with hermetic metric, of the equations Rik = 0 to the complex space. However, I have not yet felt this out sufficiently to get a real sense of whether or not we should take this possibility seriously. 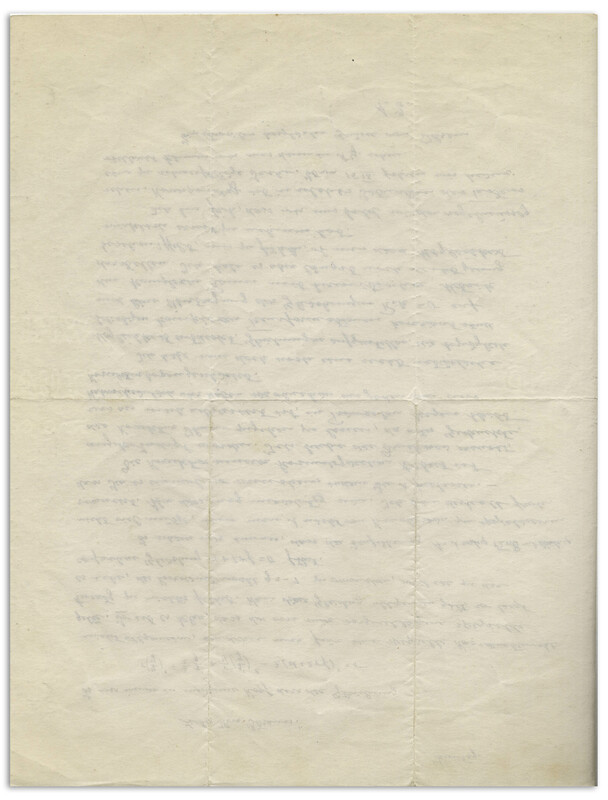 Single page letter measures 8.5'' x 11''. 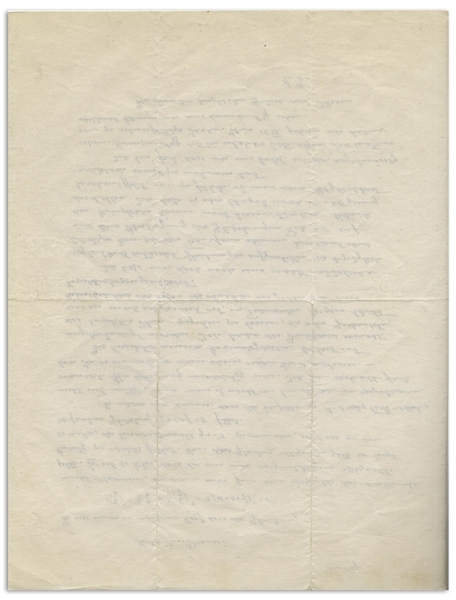 Shallow folds and light creasing, else near fine condition. 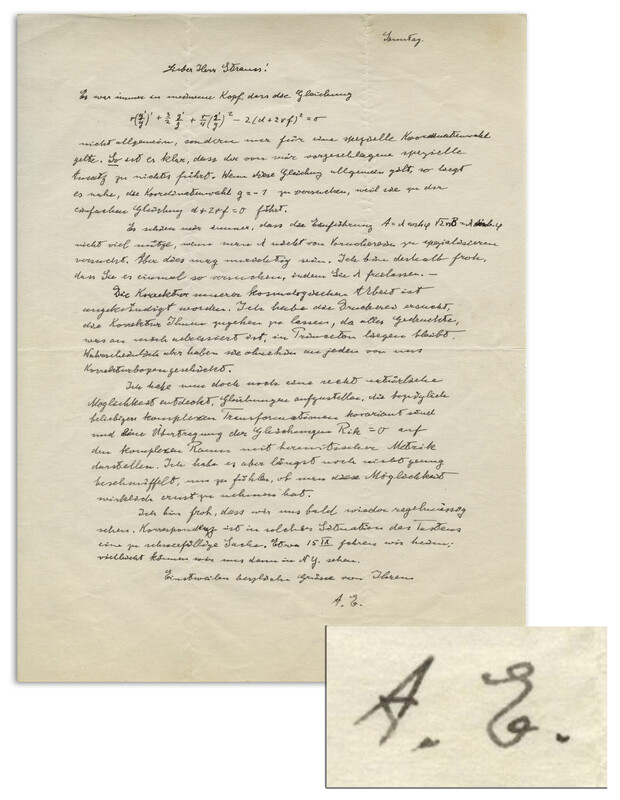 A rare letter by Einstein containing handwritten equations.